Brandenburg Concerto No. 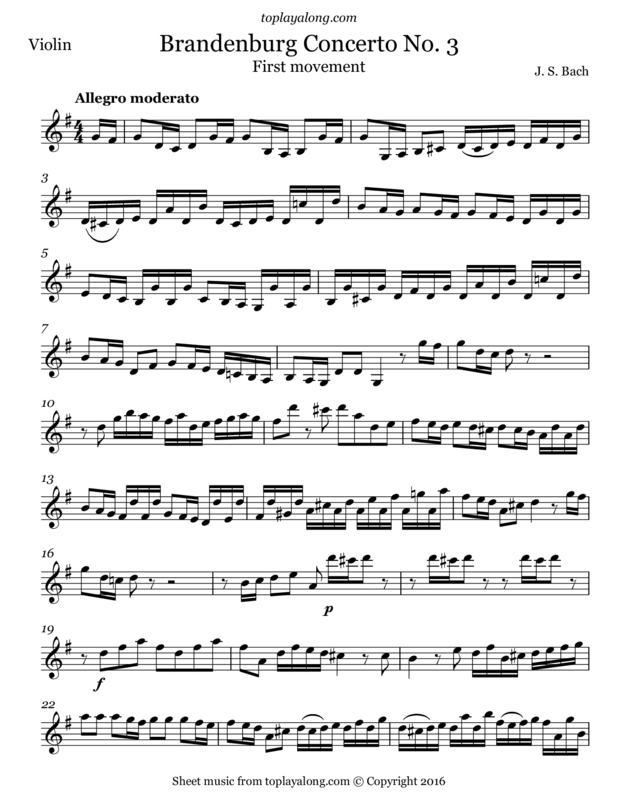 3 in G major, BWV 1048, first movement. The Brandenburg Concertos (original title: Six Concerts à plusieurs instruments) are a collection of six instrumental works. They are widely regarded as some of the best orchestral compositions of the Baroque era.